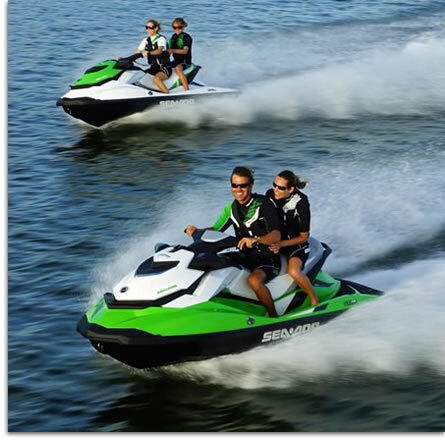 We are also known for our Jet Ski Tours! We will take you through the Ten Thousand Island's mangrove tunnels! Tours last 2 hours and cost $215/per Jet Ski. Tours must be booked 24 hours in advance. We launch from Caxambas Park located at 909 Collier Ct. 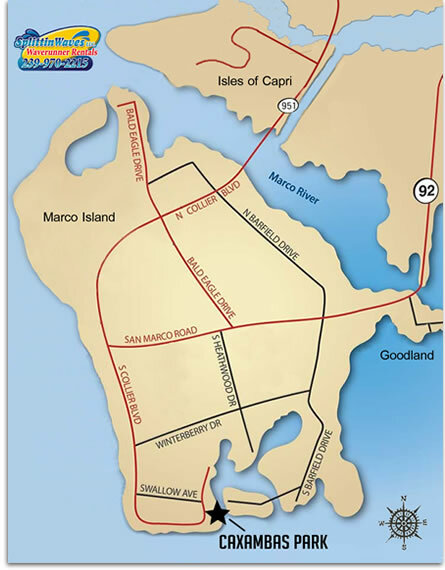 This park rests at the southern tip of Marco Island where Collier Blvd ends. Caxambas park has parking, snacks and water. Click Here to visit the website. Hours: 9:00 AM - 6:00 PM, Monday-Sunday. Hourly rentals must be finished 1 hour before sunset, but feel free to call us anytime before 7:00 PM to create a reservation. Florida State Law requires that all renters who plan on operating the Jet Ski born after 1988 must take a boater safety course. You must print the safety course card and bring it with on your rental. Click Here to read our guidelines.